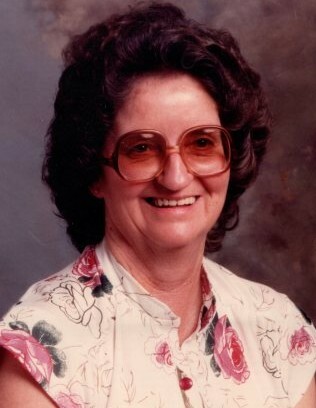 Ida Holt Register, 88, of Fayetteville passed away on Saturday, November 24, 2018 in Carolina Rehab at Cumberland. Ida was born June 22, 1930 in Cumberland County to the late Vennie and Walter Holt. She was preceded in death by her husband, Alton Register; brothers, L.D. Holt, J.V. Holt; sisters, Ruth Evelyn Jeffreys, Dorothy Johnson, Alma Barefoot, Barbara Blackburn, and two stepsons, Bo Register and Kevin Register. Ida worked at Dixie Yarns for 30 years. A Celebration of Life will be on Wednesday, November 28, 2018 at 12 noon at Jernigan-Warren Chapel. Burial will follow in Cumberland Cemetery. The family will receive friends at the funeral home on Tuesday, November 27, 2018 from 6:00 pm until 8:00 pm. Ida is survived by her daughters, Beverly Threatt and husband Joel of Supply, Darlene Smith of Supply, Kathie Bowden of Belleview, Florida; step-daughter, Kay Tew and husband Earl; step-sons, Wayne Register, Mark Register, Chris Register; grandchildren, Thomas Bledsoe, Peter Smith, Jr., Paul M. Smith, Shelley Durbin, Belinda Hinson, Rocky Bowden; Tony Register and wife, Jordan, Bobby Register and wife, Danielle, Melissa Kulwicki and husband, Joe. Chastity Poole and husband, Mike. 21 great-grandchildren, 1 great-great grandchild and numerous nieces and nephews.